Der Artikel Ketil Bjørnstad (geb. 1952): The River wurde in den Warenkorb gelegt. "I spent the winter of 1994 / 5 researching and playing music of the late renaissance, paying particular attention to the clarity of William Byrd's and Orlando Gibbons's melodic invention, trying to 'translate' some of this into a modern idiom, trying to find a contemporary language for further dialogues." In the studio, however, renaissance music became simply a point of entry into the improvisational process. As Bjørnstad puts it, "Byrd's bright 'Qui Passé' posited a direction. Then the music began to flow." The Norwegian pianist had first met American cellist Darling during the Oslo sessions for the latter's solo album Dark Wood, four years ago. "I knew some of his music, including earlier things like [1981's] Cycles, but Dark Wood was a revelation." Not only for Bjørnstad. The recording prompted America's Jazziz magazine to declare that "No one has improvised on the cello with greater imagination and attention to texture, colour and tonality than David Darling", pointing to "the serious emotions behind the rich, enthralling playing." 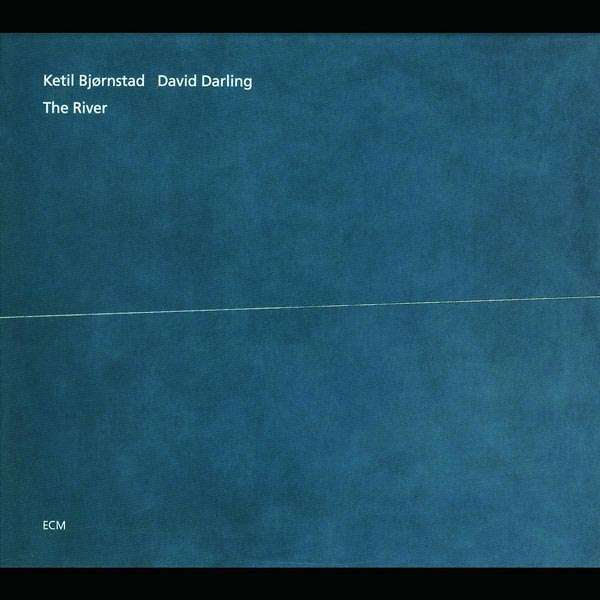 Inside The Sea quartet (see ECM 1545), Bjørnstad and Darling developed a close musical rapport, attributed by the pianist to common 'roots' in classical and 20th century music. "I think what is happening at ECM now represents a new era in improvising, developing out of a more free and non-puristic way of thinking, linked to the basis, if we can call it that, of the 'classical' approach." As a musician who was schooled as a soloist in classical and modern music (he made his concert début in 1969, with the Oslo Philharmonic, playing Bartok's Piano Concerto No. 3) Bjørnstad has never felt he could claim the jazz tradition as his own, despite a lifelong respect for the genre, and even though most of his associates in Norway have come, over the years, from a jazz background. Darling's story is similar in some ways. The cellist first began to attract press attention in the early 1970s while with the Paul Winter Consort, whose line-up also included the future members of the band Oregon. Prior to this, though, he had studied cello with Janos Starker, one of the great virtuosos of the instrument, at Indiana University. However far he may have travelled from early aspirations as a classical player, that background has been of critical importance. This is easily heard on his trilogy of solo ECM recordings - Journal October, Cello and Dark Wood - and, now, on The River. 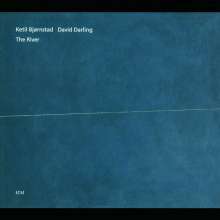 "David has a historic knowledge of music," Ketil Bjørnstad emphasizes, "and when we play together we make can make direct or indirect references to different periods, to establish different colours. It's an extremely fascinating way to communicate, musically, another means of improvising." The process has proven its communicative persuasiveness in concert, too. Bjørnstad and Darling recently returned from the Far East, where they became the first ECM "band" to play (to packed houses) in Taiwan, and they follow up this experience with an extensive concert tour through Norway. Other concert possibilities, both with the duo and with The Sea quartet (completed by Terje Rypdal and Jon Christensen) are currently under discussion. Meanwhile, the atmospheric attributes of Bjørnstad's and Darling's music continue to find resonances with new listeners through other channels. Following the lead of Jean-Luc Godard (Nouvelle Vague) and Wim Wenders (Until The End Of The World), other directors have been drawn to David Darling's cello improvisations, amongst them Michael Mann (Heat). Currently the music of both Darling and Bjørnstad can be heard in Godard's new film Forever Mozart. M. Inhoffen in stereoplay 4 / 97: "Die Audiophile. ..ein meditatives Wunderwerk, aufwühlend, die Sinne schärfend, zugleich eine endlose Ruhe aus- strahlend. Trotz des intimen Duo-Rahmens entsteht der Eindruck großer Räume, weiter Horizonte. Vor allem David Darlings Cello ist hier von einer schwindelerregenden Präsenz." Ein Teil des bunten Spektrums im Schaffen vom Ketil Björnstad zeigt sich in einer überwiegend ruhig gehaltenen melodiösen CD zusammen mit einer hervorragend interpretierenden Sopranistin und einem super klingenden und sich in den Gesamteindruck einbringenden Celloklang. Trotz aller Ruhe: Langeweile kommt nie auf, weil die eigenen Gedanken und Gefühle dauernd phantastisch angeregt werden. Toller präsenter Raumklang!